The year is 2245. Humans have discovered interstellar travel and had already begun colonizing planets. The true Space Age began in the late 22nd century when space exploration became economical and safe. Human civilization was at its peak of technological and medical advancement while war and famine on Earth had dropped to a record low. The human civilization had elected for unity in which all countries and nations became a single nation, Earth. The Earth government, along with private corporations had begun settling on planets to expand human civilization in different systems throughout the Milky Way Galaxy. However, not all planets were easily hospitable. Many planets had resources available and were not contested by an intelligent form of aliens. Alien species had become problematic for certain deep space explorations. It was up to Earth’s military, Federation of Freedom, to assist in all foreign conflicts and to preserve the sanctity of human’s survival, exploration, and conquest of the galaxy. The newest conflict has arisen in the Lazer Legacy System on planet Aeris. 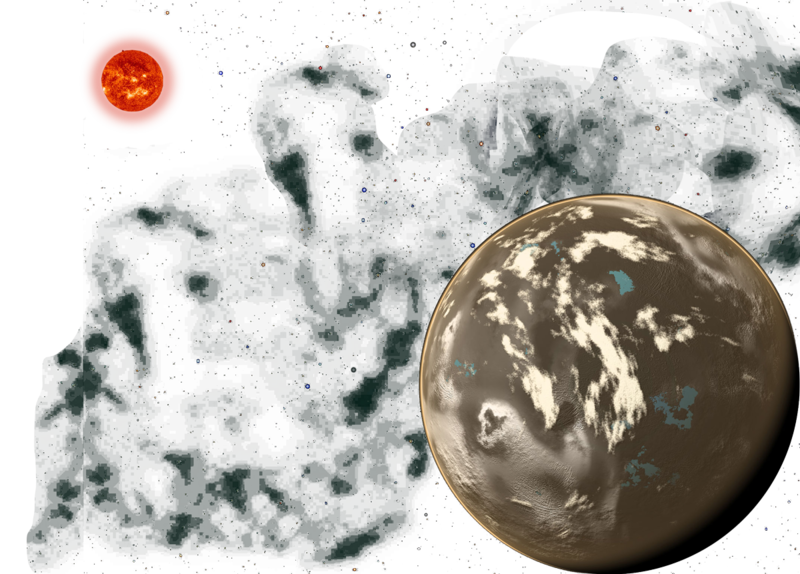 It is three times the size of Earth and is home to a native species called the Vaak’Sha; they had become hostile when negotiations with the FoF fell through. The aliens were not as primitive as previously believed. They have a deep, rich history that spans millennia and have developed technological advances that have given them enough to defend themselves, but proved to be no match to human’s technological advances. The Earth’s president had demanded that the FoF take control of Aeris through force once peace was unreachable. Valuable resources were found on this planet and it could serve to be one of the most important hubs for human civilization and be a gateway to the rest of the galaxy. Aeris is our only hope! However, it was not without backlash. A new group of humans from planet Asteria in the Koios system has started the Native Aeris Resistance. They have offered themselves as warriors and protectors of the Vaak’Sha. The NAR has established peaceful relations with the Vaak’Sha and serve as a close ally. The NAR has gathered many followers across the galaxy to aid in protection of the native species and habitat. They believe that they are an intelligible race that is non-hostile. They express that humans, specifically the Earth government, should look elsewhere in the galaxy in search for other hospitable planets. The NAR has officially been the voice of the Vaak’Sha and believe that peace can eventually be achieved. The private corporation Phoenix Defense Corps, on planet Aegis in the Lunos system, has also become another faction to join in conflict on planet Aeris. The PDC has taken no sides and believes that an agreement can be made between the FoF and the NAR. Their personal stake in this conflict are known to be the benefits of resources available and the positive relationship that can be had with the Vaak’Sha. Their task force consists of cyborgs and troops that are deployed on the planet. They will not stop until resolution between all factions has been achieved and before destruction and full out war. Planet Aeris has become a battleground between these three factions. People are enlisting all over the galaxy to join in the conflict-ridden world. Some people are calling this struggle “The single greatest eradication of species of our time.” Others are calling it the “The next step of mankind.” Earth and other colonized planets have seen support between the three factions split evenly. The Federation of Freedom (FoF), a coalition of Earth’s greatest soldiers, was formed to protect human interests following the discovery of confirmed alien life and additional inhabitable planets. With the newfound knowledge of near endless resources and the ability to access them, the FoF is steadfast in its mantra that the sky is no longer the limit. They believe that the future of humanity is yet to be discovered and they are willing to do whatever is necessary to better the conditions of future human life, whether through physical resources, inhabitable land, or technology. They are willing to do whatever is necessary to acquire these resources, and will not let anyone, or anything, stand in their way. The Phoenix Defense Corps (PDC), founded in 2158 during the height of the First Great Alien War, to resolve the intergalactic conflict with minimal collateral damage. Following the successful brokerage of the Treaty of 2162 ending the First Great Alien War, the PDC became a prominent name in intergalactic negotiations. Now, nearly 100 years later, the PDC is still active and firm in its principals. Currently, PDC has set up a base on planet Aeris. The new PDC headquarters can be easily accessed through your local Yucaipa portal. The PDC is always looking for brave, like-minded individuals to help defend their ideals. The Native Aeris Resistance (NAR) is a relatively new organization formed in 2243 after media coverage of the unnecessary destruction of the Vaak’Sha’s sacred grounds reached nearby human colonies. Beginning as small protest groups, the NAR has become a considerable force in the current Aeris conflict. Allying themselves with the natives they are willing to put themselves in the line of fire to protect the planet and its rich history and life. They believe that the universe is endless and there are plenty of uninhabited yet undiscovered planets and systems with similar or potentially more valuable resources. With that in mind, true peace can only be reached with the complete evacuation of human life not only from Aeris, but from all planets currently inhabited by intelligent species like the Vaak’Sha.